Ham is a staple on Easter dinner tables, and this recipe takes that classic and gives it a new twist. Think of this recipe as bringing the flavors of spring to this family meal. 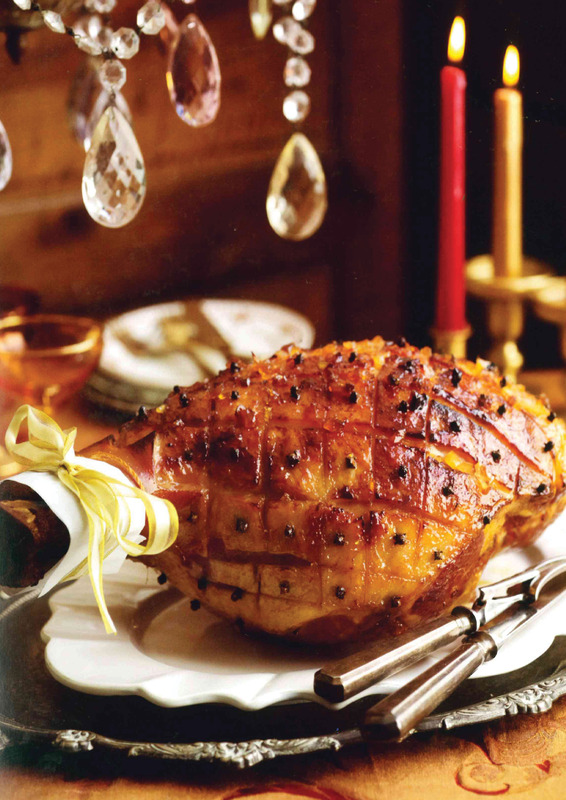 Plum preserves spiked with fresh citrus, ginger, and crushed red pepper update the traditional Easter ham. The orange juice and lime juice add the right combination of sweet and tart, while the honey clings onto the ham to bake into the perfect glaze. You'll love just that hint of red-pepper heat. Garnish it with tropical fruits like kiwi and pineapple for a beautiful look. 1. Stir together first 7 ingredients in a saucepan over medium-high heat; bring to a boil, stirring constantly. Reduce heat to medium-low; simmer, stirring constantly, 5 minutes or until preserves are melted and mixture is blended. Pour half of plum preserve mixture into a microwave-safe bowl. 2. Take the skin off the ham. Trim excess fat to 3mm thickness. If desired, make long, shallow cuts (about 1-2mm deep) over entire ham, forming diamond patterns. Place ham on a wire rack in an aluminum foil-lined roasting pan. Brush ham with a portion of plum preserve mixture in saucepan. 3. Bake Champagne Ham, uncovered, at 180°C on lower oven rack 1 hour and 30 minutes, basting with remaining plum preserve mixture in saucepan every 30 minutes. Loosely cover with aluminum foil, and bake for another 1 hour and 45 minutes, basting every 30 minutes. Let ham stand 15 minutes before slicing. Garnish to taste. 4. Microwave the remaining plum preserve mixture in bowl until thoroughly heated. Serve ham with warm mixture.